Dominate the killing field with a sword in your hand and the Riveted Long Sleeved Chainmail Hauberk on your body. Take no chances when in battle and protect yourself with a true old world design that has been utilized for centuries. This set was carefully constructed from 9mm non-galvanized steel to create a stunning replica. The riveted style offers the owner a durable piece of armor. The large openings on the sleeves offer a wide range of arm motion when attacking. 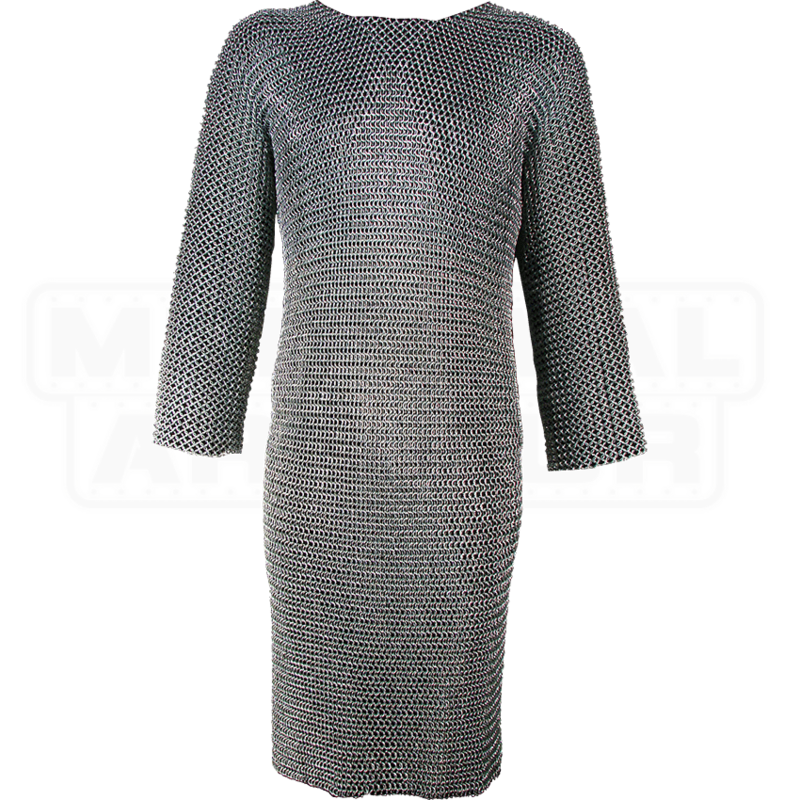 A thigh length hauberk replica this item will easily protect your torso and legs, so fight with confidence. 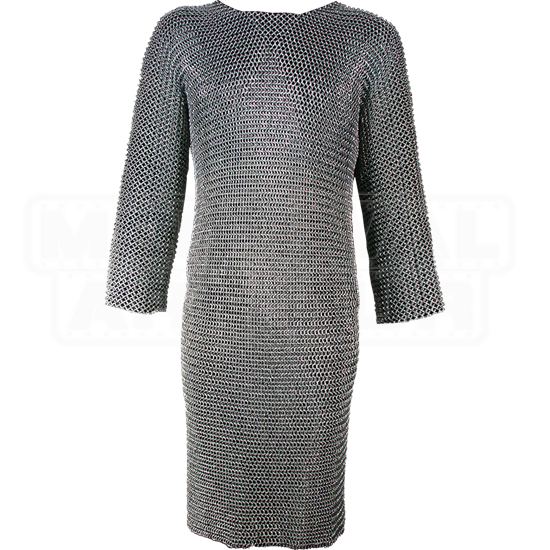 The Riveted Long Sleeved Chainmail Hauberk is an ideal choice when protecting yourself, so grab one while you can.